Roy (Ben Foster, Hell or High Water) is a heavy-drinking criminal enforcer and mob hit man whose boss set him up in a double-cross scheme. After killing his would-be assassins before they could kill him, Roy discovers Rocky (Elle Fanning, The Beguiled), a young woman being held captive, and reluctantly takes her with him on his escape. 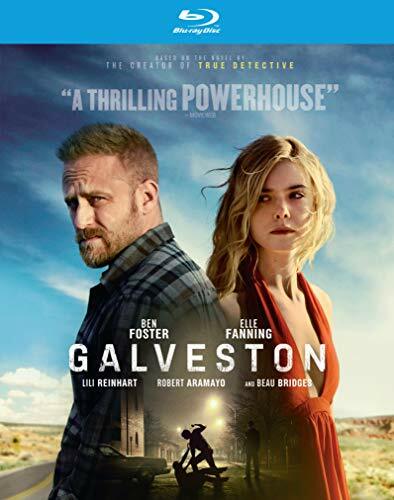 Determined to find safety and sanctuary in Galveston, Roy must find a way to stop his boss from pursuing them while trying to out-run the demons from his and Rocky’s pasts.